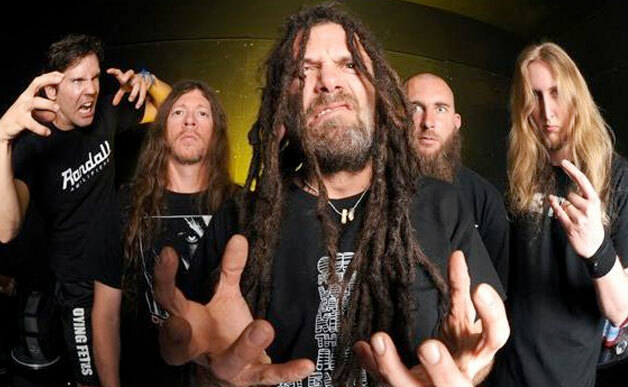 Having a significant presence since their formation in the early ‘90s, largely in part due to then Cannibal Corpse vocalist Chris Barnes, Six Feet Under is one of those acts that most metal fans are immediately aware of (and rightly require no introduction). The groove-based death metal act has released 12 full-length albums to this point (not including the Graveyard Classics covers releases), and never seem to be at a loss for new material. Their latest, Torment, continues in the band’s longstanding tradition of no frills death metal. Plenty of groove lines the path, but there’s also some bursts of speed to change it up so to speak. 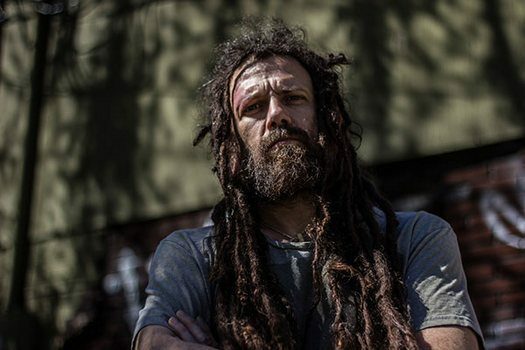 With new album release eminent, it seemed the perfect opportunity to chat with the main man himself, Chris Barnes. Read on for some discussion about Torment, the timeless quality of death metal, lyrics, and marijuana legalization. 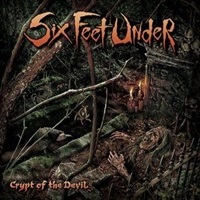 Dead Rhetoric: When you started Six Feet Under back in the ‘90s as a side project with Allen West, did you think it would have the lasting power that it’s enjoyed? 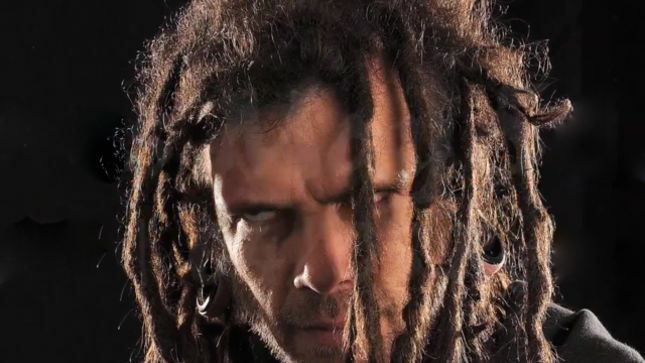 Chris Barnes: Yeah, I did think that. The first three songs that I got were very standout to me. I thought in my head that the crowd would love them live. People like to push it and advertise it as a side project but it was more something that I was looking to do for the long term. I wanted to go and do something on my own. 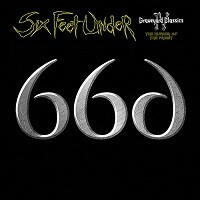 Dead Rhetoric: What do you think has allowed Six Feet Under to sustain for so long? Barnes: I just really enjoy what I’m doing. I enjoy making music. As long as you, as an artist, in whatever you do – you have to love it. You have to have a passion for it. Dead Rhetoric: What makes Torment stand out from your discography? Barnes: I think the musicianship is top notch. It’s very hyper-focused, writing-wise and composition-wise. It encompasses all of the elements of what I’ve done in the past, and where I’m heading in the future, I guess you could say. Dead Rhetoric: There’s been a number of changes in line-up over the years – yet there’s always a consistent level of talent involved. How do you enlist new talent? Barnes: I never make a big thing about it. I don’t think of it as line-up changes so much as that I worked with these guys for a while, then I worked with these guys for a bit – to me it’s about the music and when the songs find you. If it feels right, then I’m all for it. Dead Rhetoric: Does that mentality help, in terms of continuing to make new music – is it more challenging to make new music over the years at the rate that Six Feet Under does? Barnes: That’s one of the things that drives me…the challenge of it and making it more challenging for myself. I think having the opportunity to write with so many great musicians has kept me very much interested in what I do, and interested enough to keep pushing forward with the band and what I do. That’s all part of it – being challenged is the best thing about making music I think. What’s the use of doing the same thing over and over? Dead Rhetoric: Do you ever get tired of the serial killer lyrics or question why you are continued to be drawn towards them? Barnes: If you are just looking at things face-value, you’d think that things are like that, but a large portion of that is interlaced with other subjects/thoughts/topics/feelings. 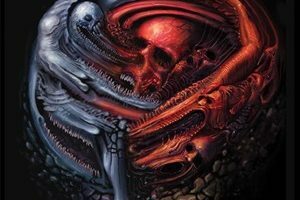 I think I deal with mostly the duality of the human condition, and the duality of existence – life and death, good and evil. I think that if you are just looking at what I write about at face value – the majority looks like serial killer/murder/violence – that type of stuff. Like a horror film. But if you look at horror films, there’s a lot of metaphor and symbolism that goes on deeper within storylines that speaks to our lives and who we are, and what we are. That’s what I try to deal with in my lyrics. Sometimes it’s a little hard for some people to grasp those concepts. I’ve kind of drifted off in very direct ways as well with my lyrics, like the album Warpath. Even going back to songs on my first album with Cannibal Corpse, like “Put Them to Death,” which those lyrics deal with the idea of the death penalty – I’ve done songs about religion as well, some that are more upfront. I always try to explore my imagination as far as writing lyrics. Where ever the song, musically, takes me, there’s another dimension of some sort that you tap into as a writer. You are very much in the concentration mode and some sort of deep meditation when you are listening, and in that “zone” as they say. When you are writing lyrics, or you are a book writer/script writer – you get taken away to a certain place…I don’t know if it’s an ethereal plane or some hall of records that has always existed, but there’s a spiritual feeling that you get if you’ve been paying attention. Dead Rhetoric: So is it your hope then that the listener, when they read through them, make more of an interpretation of what you are putting down? Barnes: That’s the thing about art man, you can take it anyway that you want to…any way that you can absorb it yourself. It’s an involuntary thing. It’s how you see things – how you see your world, how you perceive reality. Each one of us perceives reality differently. It gets frustrating if someone misses the point – if you are in a group of people and maybe you know someone or you don’t, and you can’t understand out this person thinks – that’s frustrating. It’s like, “I don’t know if that’s a real person.” [laughs] You have to take it as what it is. There’s interesting things in everything, including the way people understand things. I try not to get too disappointed, and look at things with some kind of joy. Dead Rhetoric: At this point, the band is also synonymous with these Graveyard Classics albums. What’s your approach to when you make a new one? Barnes: No, I didn’t think I was going to release the last one. I didn’t think there was going to be another one. Phil [Hall] brought it up to me…and I was like, you know what, people have been asking about it so maybe it’s time to do one. That’s how most of them have come about – just seemed like it was the right time to mess around and do something in between albums. They’ve been fun and a good interlude to things. They cleanse the palette in a way. Dead Rhetoric: As someone who’s been a longtime supporter of marijuana legalization, what’s your take on the tides turning and marijuana seeing more legalization in the United States? Barnes: It’s interesting…I think a lot of people are very excited about it. It’s important to make sure that the laws that are going to be enforced with legalization in certain areas, and that you know certain things before you vote it in, just because you want it legalized. We are in a pretty precarious position here in Washington State. It’s a little unusual compared to Colorado or what they are proposing in California. It’s pretty wild and there’s one thing in legalizing it…but one thing people don’t understand that legalizing for recreational use is also giving up a lot because of government regulation. You have to be very careful, because certain people have their hands in certain pockets, and some things are being done under the table. There’s a certain protection you have as a person, if things are just kept medical. I have a different idea about how it should be approached, but I don’t think anything can actually be solid until it’s taken off of the DEA list and completely legalized federally. It’s like, here in Washington, I’m medical, even though it’s still recreational. But there’s a federal law – it’s not a new law – I think they’ve just highlighted it making sure that everyone knows that in states where it’s legal…that if you use cannabis, either medically or recreationally, that it is illegal for you to own a firearm. So they have basically restricted your second amendment rights, based on false science and discrimination. We all know that it’s medically known…it’s proven, that cannabis is less harmful and far less dangerous to your body and others than alcohol. So where’s the logic? Where’s the justification in not making it illegal for someone who drinks a beer once a day to own a gun or a rifle? So there are some real loopholes mixed in with the legalization thing that the bureaucracy has just infiltrated and manipulated like everything else they’ve done with the government. People think it’s funny – you are complaining about a 40% tax…but we are paying a 40% tax, and also the law is, as well, if you have over a certain amount of cannabis, it becomes a felony. If it’s over 28-30 grams. So it’s legal, and it’s not legal. And it’s about the same as it was before, except you are giving money to a bunch of crooks, and it’s not the people you know down the street, where you are just helping them pay for their Corvette or a new speedboat. I’d rather help a friend out than some scumbags in Washington or the state government that are just soaking the money into some wild account somewhere because they are siphoning off of stuff that’s supposed to go to the school system or something. You have to be careful – it’s a big issue! A lot of people think, “Oh man you support legalization.” And I do, but not the way that it’s been done. It’s kind of a strange thing. Dead Rhetoric: That’s totally understandable – as you were saying, do you think there will ever be a full DEA drop and have it be fully legalized? Barnes: I don’t’ really see it now, with this orange goblin in there [laughs]. I don’t know if there’s going to be any compassionate things that change in this country for the better. I think it’s all going to go real bad real quick here, as we are seeing. It’s unfortunate.